Purchasing this item will earn you 159 reward points (Loyalty points $1.59) ! 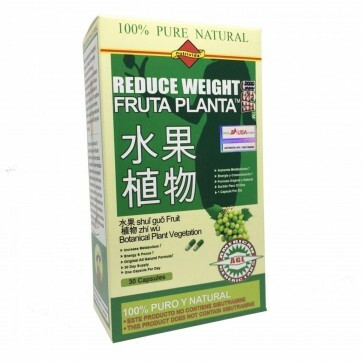 Fruta Planta USA does NOT contain Sibutramine an illegal drug found in dangerous Chinese weight loss pill versions. 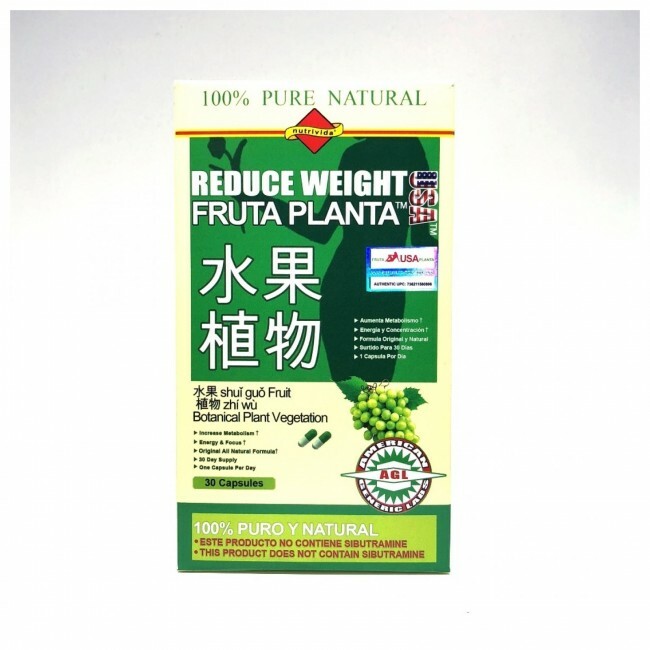 Reduce Weight Fruta Planta lists all product ingredients in the supplement facts panel, unlike cheap imported Chinese versions. 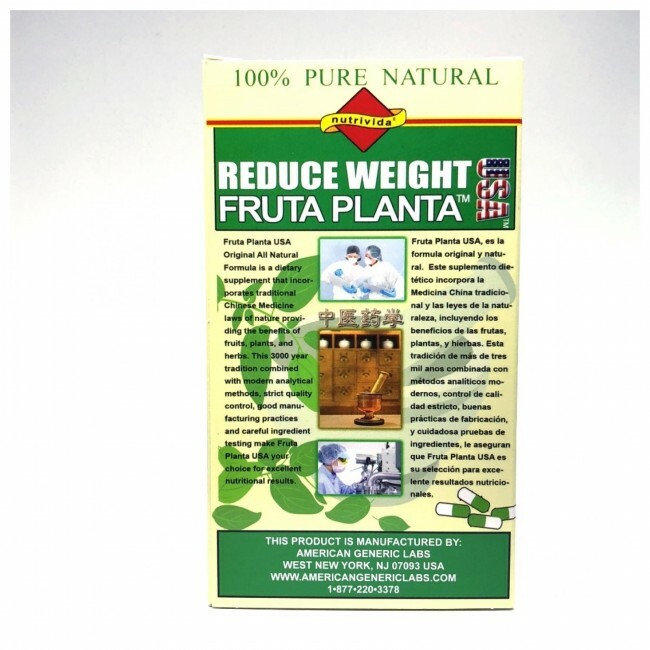 Fruta Planta is guaranteed to help you achieve and maintain your energy and weight loss goals. 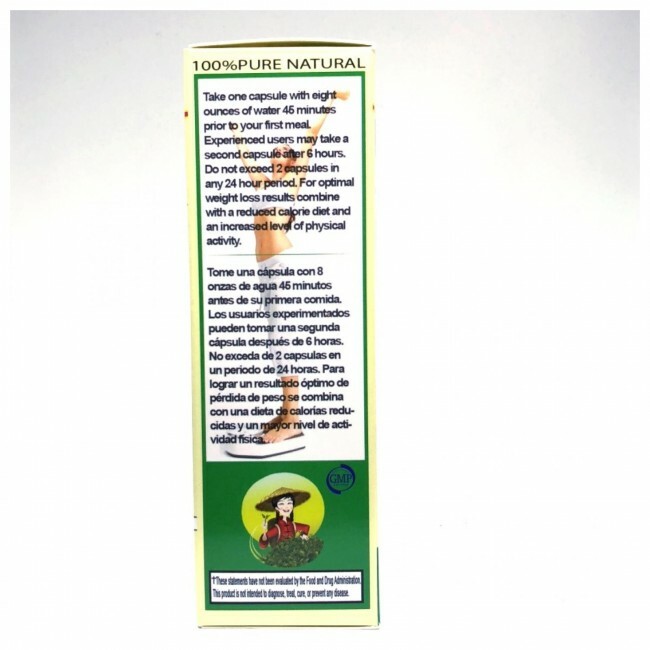 If you are not 100% satisfied with Fruta Planta USA you may return the unused portion for a full refund exclusive of shipping charges within 30 days of purchase. Multiple unit purchases may only return 1 opened package and remaining packages must be unopened. Only 1 return per customer will be allowed. 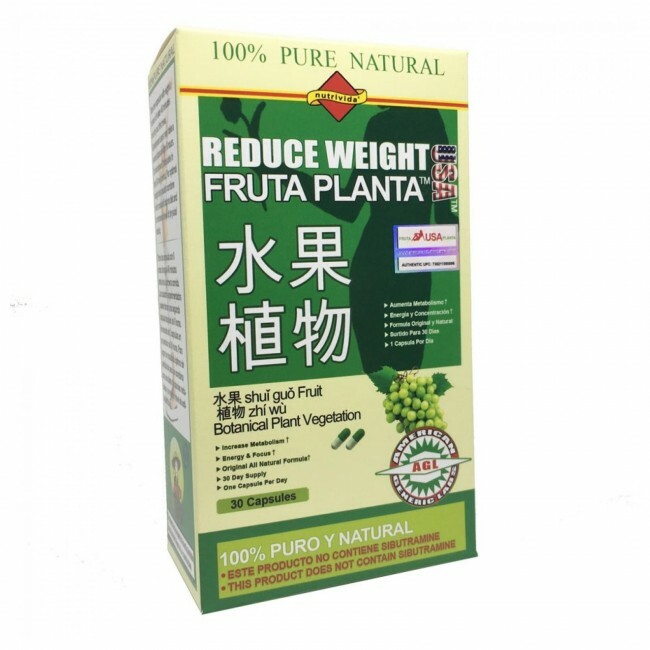 Fruta Planta USA Original All Natural Formula is a dietary supplement that incorporates traditional Chinese Medicine laws of nature providing the benefits of fruits, plants, and herbs. This 3000-year tradition combined with modern analytical methods, strict quality control, good manufacturing practices and careful ingredient testing make Fruta Planta USA your choice for excellent nutritional results. I've been using this product on and off since 2011 and absolutely love it. It works every time I use it. It suppresses my appetite and that's exactly what I need since I love to eat. What I love the most is that netnutri always comes through with the products I need and I love the fact that they will always let you know when they're out of stock and they will always keep you updated and accommodate you. Take one capsule with eight ounces of water 45 minutes prior to your first meal. Experienced users may take a second capsule after 6 hours. 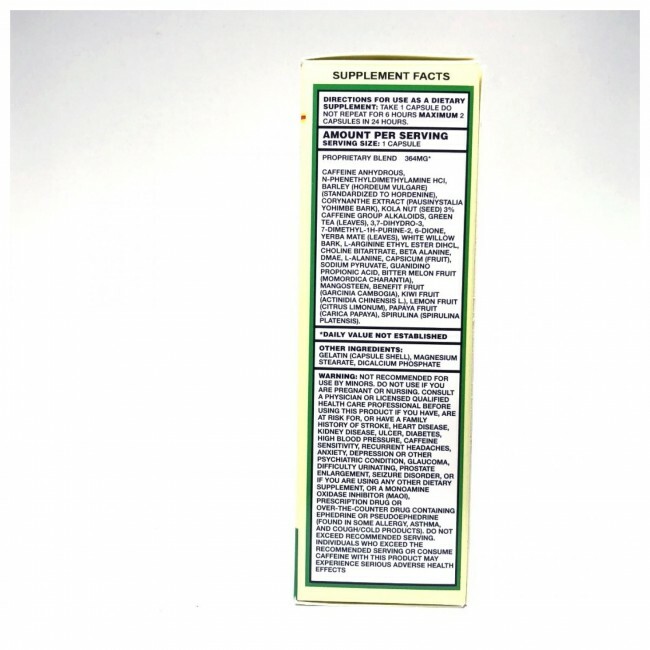 Do not exceed 2 capsules in a 24 hour period. For optimal weight loss results combine with a reduced calorie diet and an increased level of physical activity. Caffeine Anhydrous, N-phenethyldimethylamine HCI, Barley (Hordeum vulgare) (Standardized to Hordenine), Corynanthe Extract (Pausinystalia Yohimbe Bark), Kola Nut (seed) 3% Caffeine group Alkaloids, Green Tea (leaves), 3,7-Dihydro-3, 7-Dimethyl-1H-Purine-2, 6-Dione, Yerba Mate (leaves), White Willow Bark, L-Arginine Ethyl Ester DiHCL, Choline Bitartrate, Beta Alanine, DMAE, L-Alanine, Capsicum (Fruit), Sodium Pyruvate, Guanidino Propionic Acid, Bitter Melon Fruit (Momordica Charantia), Mangosteen, benefit Fruit (Garcinia Cambogia), Kiwi Fruit (Actinidia Chinensis L.), Lemon Fruit (Citrus Limonum), Papaya Fruit (Carica Papaya), Spirulina (spirulina Platensis).